As i'm typing this, it's 75 degrees outside and the skies are filled with the stormiest, heaviest clouds. And so, Denver, you are killin' it today with the weather. hallelujah, and thank you. 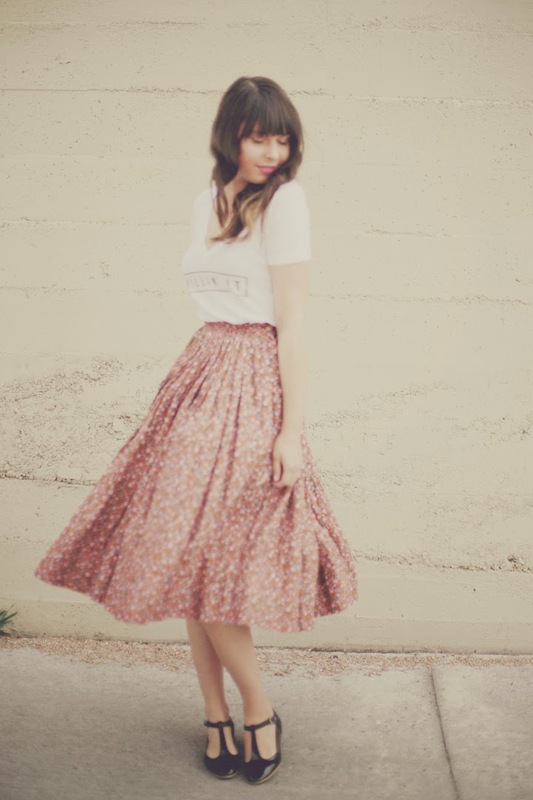 And, about my new tee from stylelately! I love it. 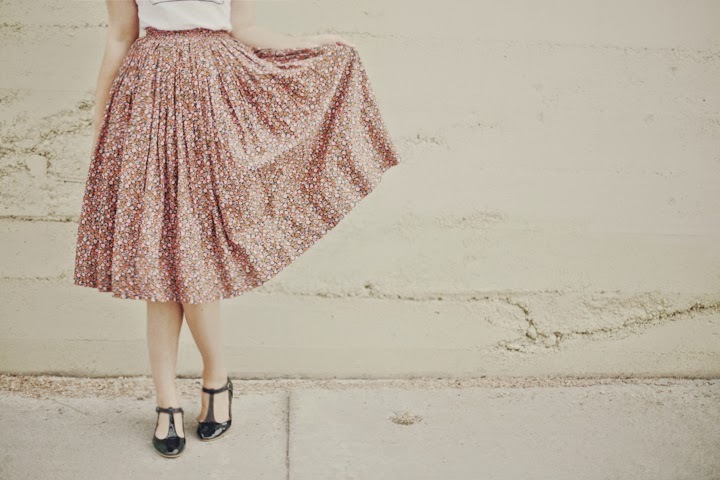 Since I'm a bit of a sweet-toothy one, a girl's girl when it comes to my wardrobe...I like the juxtaposition when worn with a favorite floral skirt. It's got a hint of edge, a certain level of badassery I wasn't naturally endowed with. I plan to wear this one thin. 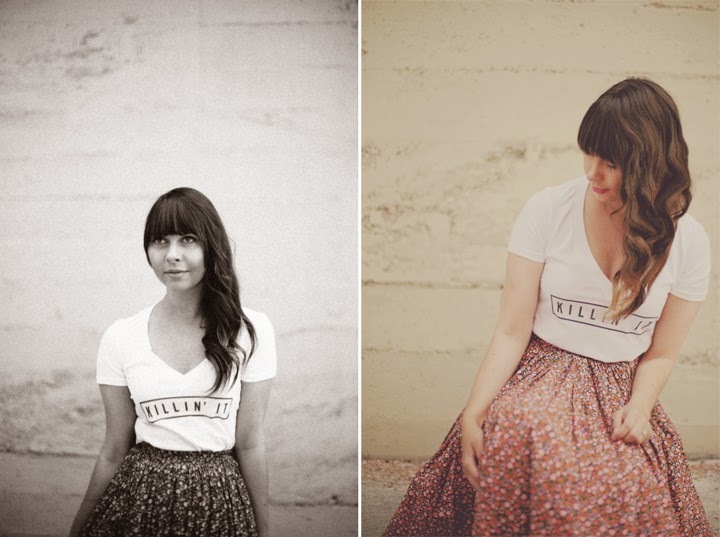 Since, as we know, like wine and sassy old broads, tees only get better with age. That shirt rules. Especially paired with that floral skirt! Way to be killer, chick! Storms are the best! Love the outfit. So simple, so cute. I'm obsessed with this shirt. I've been eyeing it for awhile on Style Lately and seeing it styled so perfectly is making me want it all the more! The weather has been too good to be true lately! 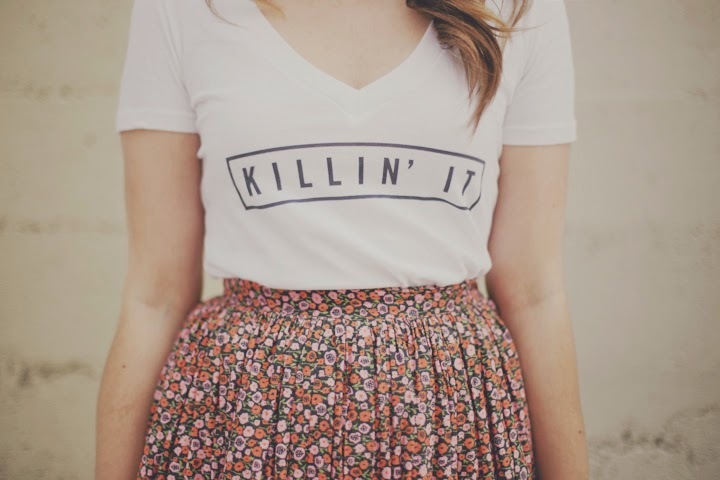 Killin it indeed. Love the T! Love this outfit. Pretty sure you can pull off anything and make it look awesome!! This outfit combo is super pretty! So simple and yet so lovely. 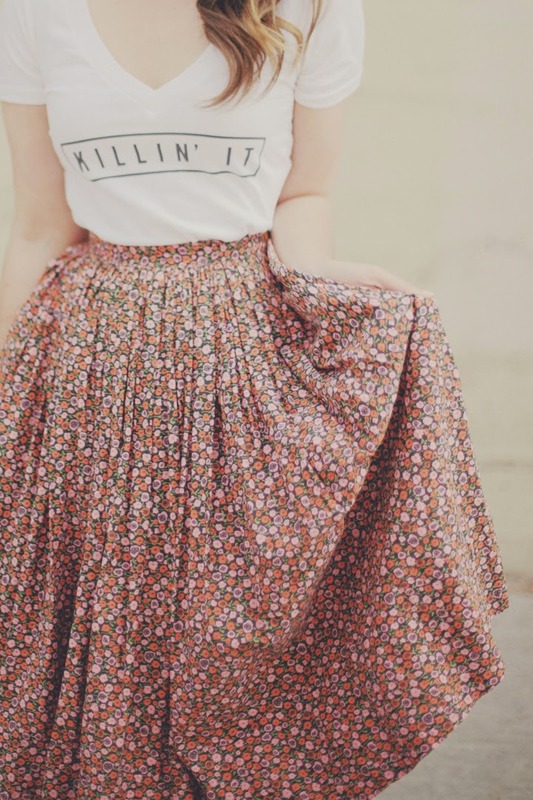 that shirt with that skirt is adorable and fabulous. I'm so glad for the hot weather. This is the perfect outfit! Do you sell the skirt? Do you sell that skirt? This is adorable. 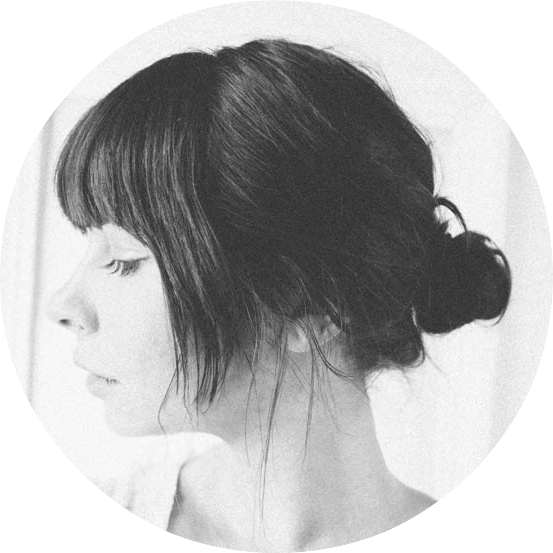 I'm going to feature one of your photos (with a source) on my blog, I hope that's okay! Doing a spring inspo post & this outfit is the cutest.